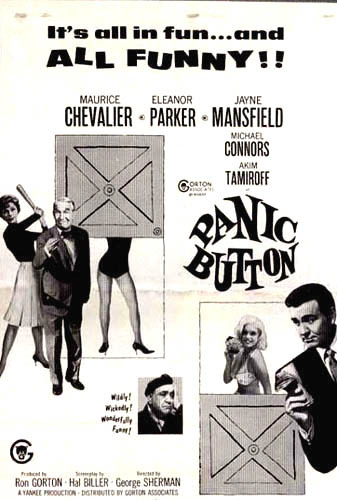 PANIC BUTTON - (1963/Italian) 90 min Starring: Jayne Mansfield, Mike Conners, Maurice Chevallier. A gangster sends his son to Italy to make a TV pilot which must fail so his organization can lose money legitimately. 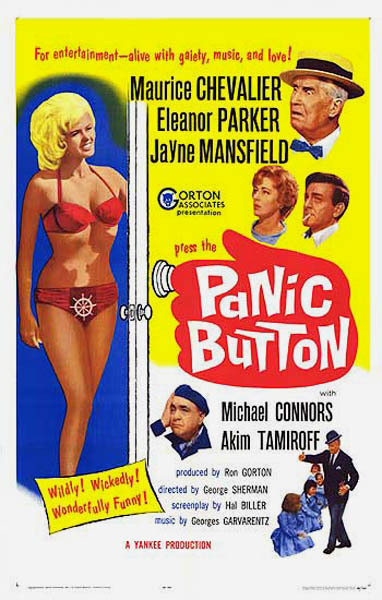 Soft-hearted call-girl Mansfield is recruited by Conners to star in an intentionally horrible TV pilot. Plan backfires when it becomes a hit at the Venice Film Festival.